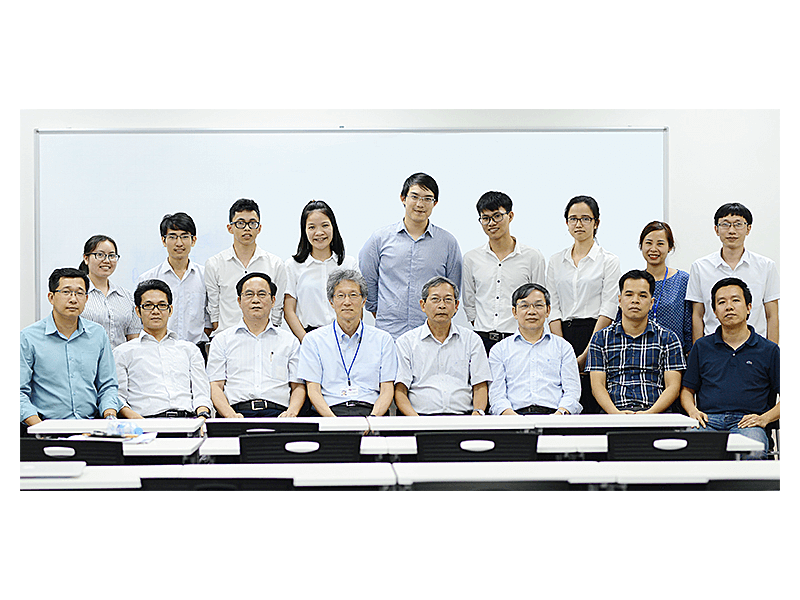 The Master program in Nanotechnology is based on the program of Osaka University (Japan) with some adjustment to match the situation in Vietnam. The program combines theoretical knowledge with practical skills, deepening the specialized knowledge as well as expand the interdisciplinary knowledge in order to understand the issues related to the Nano-sized world and master the advanced technology in the field of Nano Science. The article “Diffusion mechanism of Na ion – polaron complex in potential cathode materials NaVOPO4 and VOPO4 of rechargeable sodium-ion batteries” by MNT’s students and lecturers has been published in Physical Chemistry Chemical Physics - a highly qualified ISI journal [IF =3.906] of Royal Society of Chemistry. Workshop on internship in Japan of the 2nd intake students. MNT Program organized the workshop on the internship of the MNT 2nd intake students. 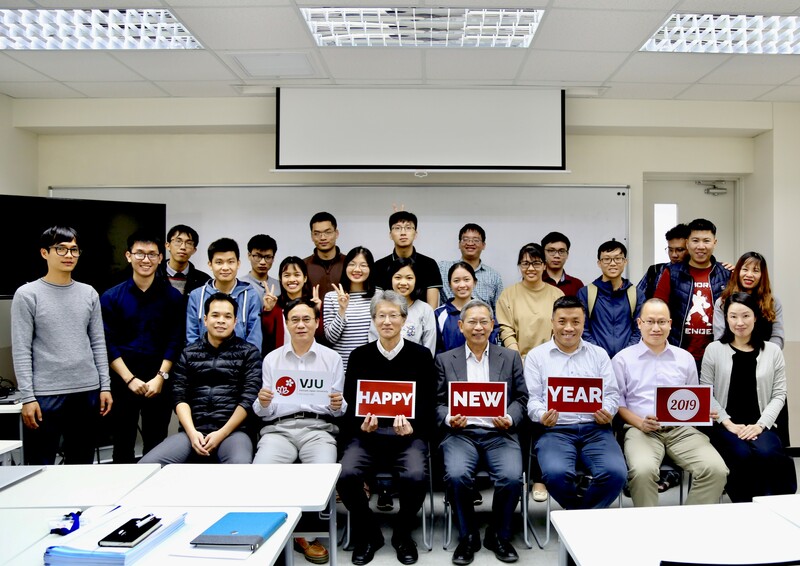 The workshop was held at VJU. Ten students of MNT program presented the results of their internship and other activities during two-month internship in Japan. The hosting institutions include Osaka University, Tokyo Institute of Technology, Ochanomizu University, JAIST, Ritsumeikan University and Kwansei Gakuin University. 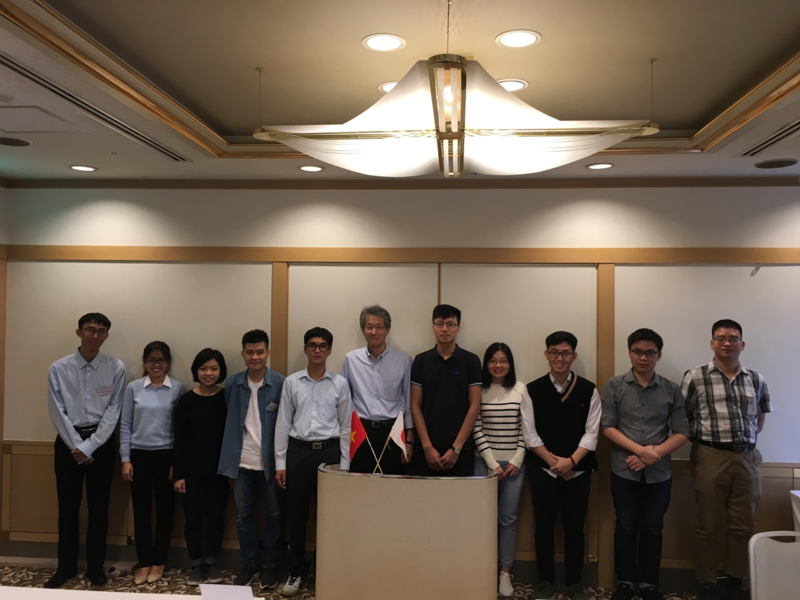 There were 30 participants at the workshop including director, co-director, lecturers and visiting lecturers of the MNT Program, 2nd and 3rd intake students, and potential candidates of the MNT Program. Internship in Japan of the 2nd intake students started. Four students of them stay at Osaka Univ., one at Kwansei Gakuin Univ., one at Ritsumeikan Univ. in Kansai area. Two of them stay at Tokyo Int. of Technology, one at Ochanomizu Women Univ. in Tokyo area and one stay at JAIST in Hokuriku area. 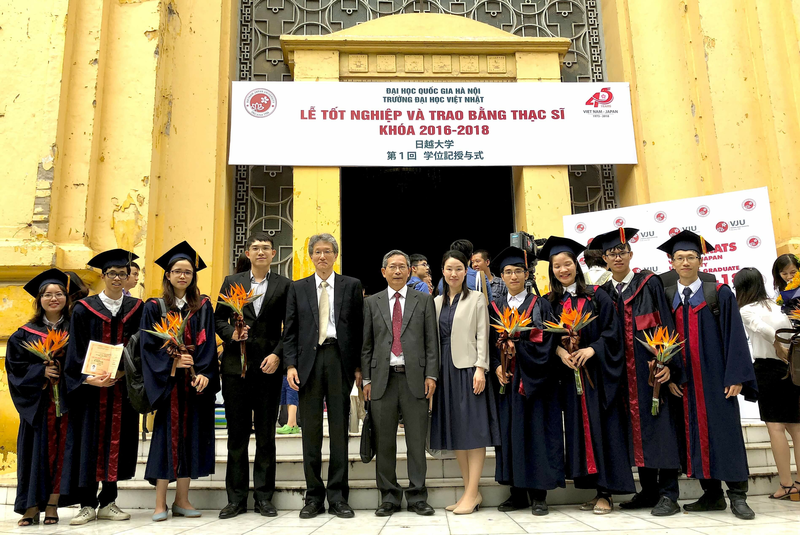 Graduation ceremony for the 1st intake students was held in Hanoi. 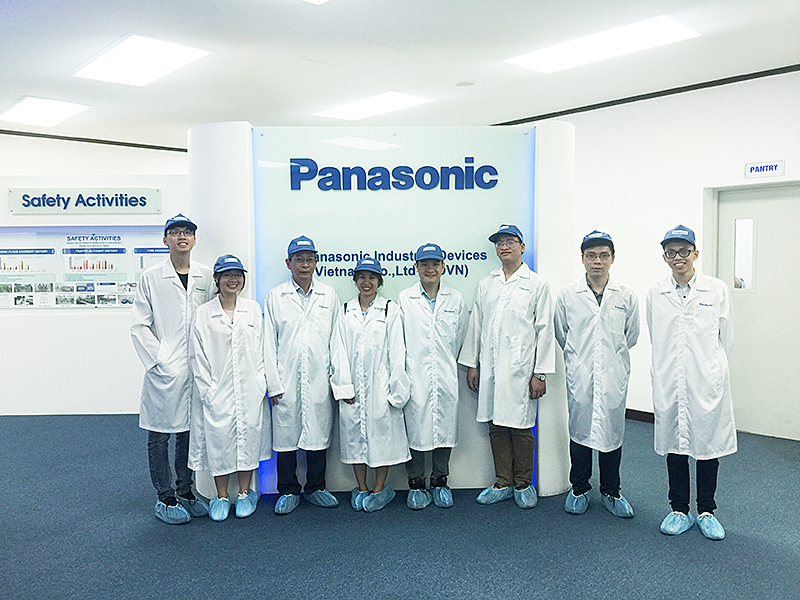 2nd intake students visited Panasonic factory in Thang Long with MNT staffs. My Dinh 1 Ward, Nam Tu Liem District, Ha Noi, Vietnam.